This is the A page of our A to Z guide to plants -- how to care for them, landscaping with them, and cooking and healing with them. 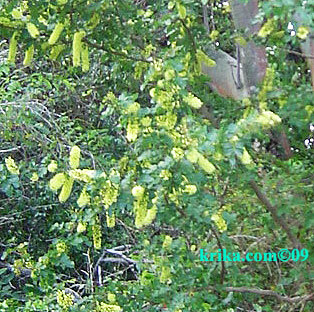 Benefits: Acacias tend to have very deep roots which work well to retard erosion. They also have a range of medicinal uses still in practice today. 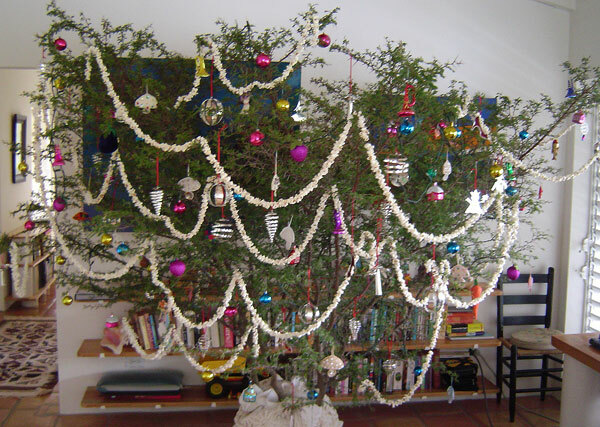 We used acacias as Christmas trees while living in Montserrat. 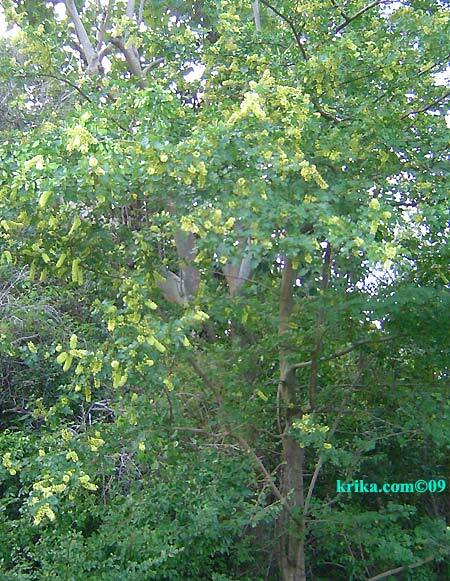 Planting and Care: Full sun is the only requirement for growing acacias. They are very tolerant of soil types and droughts. Photographed: In the city of Oaxaca, Mexico, in the fall of 2009. 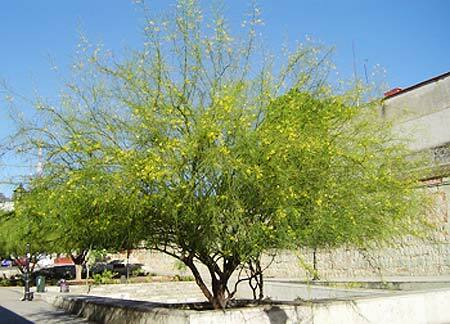 This yellow flowering small tree is very tough, growing in a climate that is almost completely dry for about 8 months a year and normally very rainy for the other 4 months. Temperatures also vary from cold, but never freezing, to very hot. The two hottest months, April and May, also coincide with the driest period of the year. Photographed: On Christmas at our former home in Montserrat in 2008. Photographed: Below on the left in the Botanical Garden at the Hotel Atitlan on Lake Atitlan in Guatemala and on the right at the Japanese Garden in Buenos Aires, Argentina. 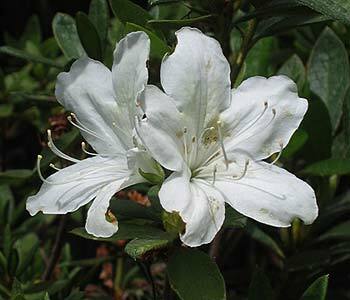 Planting and Care: Find a shady or semi shady and moist area of the garden for this generally low growing and almost always blooming perennial plant. Prune it well to keep it in flower. Cuttings will rapidly take root so you can spread them around the garden. It is not generally considered frost hardy. 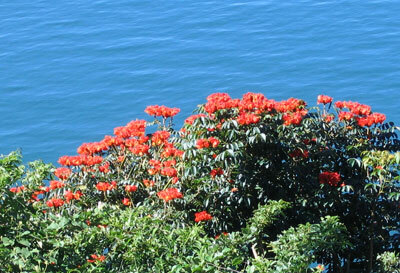 This small tree makes up for its lack of size with its not infrequent display of orange red flowers. It is marvelous in bloom and pretty when it's not. Benefits: It is a tree often used to provide shade on coffee plantations and it is said to have many medicinal uses as well. Photographed: To the right looking down from a road by Lake Atitlan in Guatemala and below at the Hotel Magdelena in Tobago in 2018. Planting and Care: Plant this lovely tree in full sun and though it will tolerate poor conditions, give it the best you can and it will do the same for you. Try to plant it in a place out of strong winds. 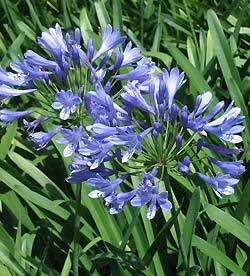 Agapanthus is another of my very favorite flowers. In Mexico they are available in the flower markets for a few months every year and a dozen stems of this purple or white flowering bulb (tuber) costs under five US dollars. We bought bulbs in the Taxco flower market last year and planted them when we got back to Montserrat. In the photo to the left you can see them getting started. Photographed: The left photograph was taken at our former home in Montserrat and the bloom to the right was taken at the Hotel Atitlan Botanical Garden on Lake Atitlan in Guatemala in May of 2010. 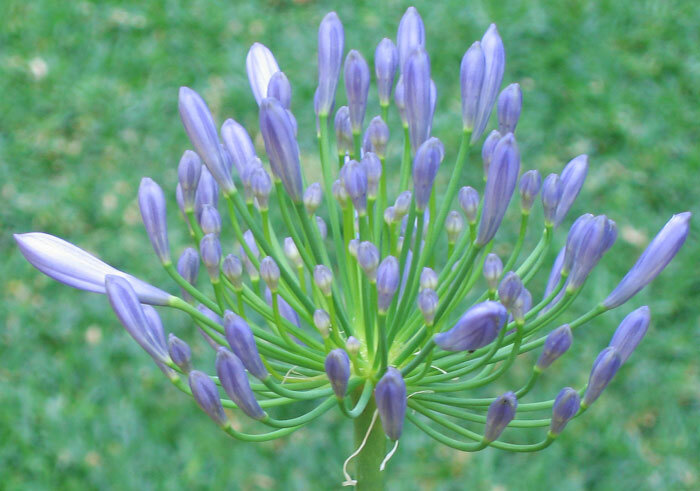 Planting and Care: Each bulb (tuber) will produce a plant about twenty inches tall and about twenty inches wide so don't underestimate its need for space. 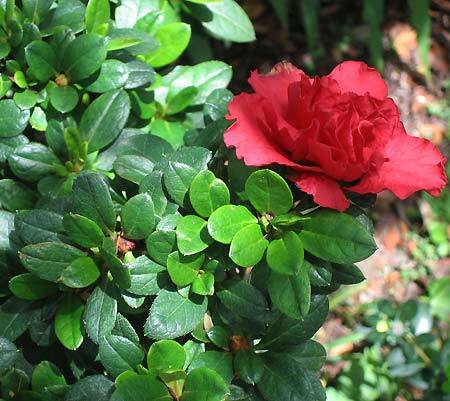 Plant them in full sun or in a hot climate in a semi shady area for best results and give them a rich moist soil. Photographed: In our garden at our home at Lake Atitlan in Guatemala in 2014. This was a lovely hanging houseplant in my apartment many years ago when I lived in Rhode Island. 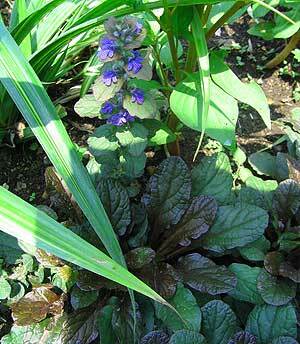 The foliage is green with a purple or bronze tinge and very attractive as you can see in the photograph. Benefits: Ajuga has many wide ranging health benefits, but its use can complicate treatment with more standard medicines, so always check with your physician before adding it to your regimen. 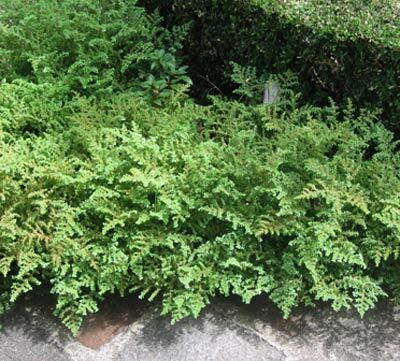 Planting and Care: Outside in the garden this is equally attractive as it is indoors and in a warm climate it makes a very hardy perennial ground cover. 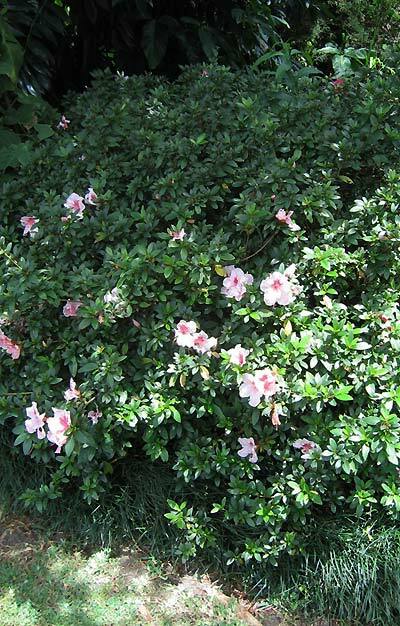 It is little bothered by any pests, never grows higher than 4 to 6 inches and even flowers in early summer. It lives best in shade or semi shade and will probably burn in full sun. 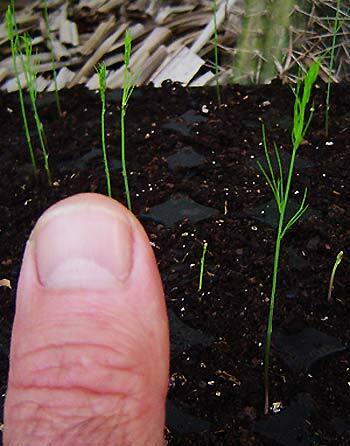 It is recommended that you plant seedlings rather than seeds. Photographed: At the Hotel Atitlan Botanical Garden on Lake Atitlan in Guatemala in May of 2010. Alfalfa is used extensively as an animal feed because it is naturally high in protein and in a wide range of nutrients. Tragically, the GMO companies got a hold of it early on and almost all of the alfalfa grown in the US is GMO contaminated. Sadly, too, cross pollination has tainted much of the remaining alfalfa seed stock. I am determined to grow my own seed free of GMO's for sprouting and feel reasonably safe doing so because we are in an area far from any alfalfa farms that I know of. 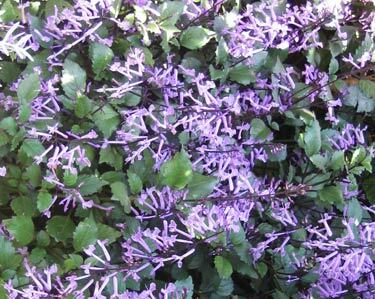 Alfalfa is a purple flowering perennial with a top height of about 3 feet. It tends to grow straight up with relatively little branching. 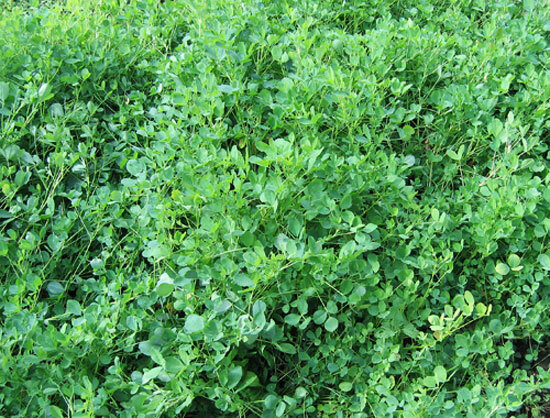 Benefits: Until ten or twenty years ago, the perennial alfalfa was used primarily as animal feed. When seed sprouting became popular in our own kitchens, alfalfa was a natural. It is extremely easy to sprout and it is delicious. Use the sprouts in salads or in sandwiches and enjoy the natural crunch with no pesticides and no herbicides. It is best if you can find imported seeds, probably from somewhere in the EU. Alfalfa seeds ten or fifteen years ago were sold at Whole Foods in bulk. Now they sell them in tiny organic seed packets from somewhere in Vermont for about 1$/tablespoon and half the seeds don't sprout. Very poor quality in our experience. Photographed: In our garden at Lake Atitlan in Guatemala in 2015. Alfalfa is a 3 foot tall perennial which makes working to get it to grow seem less onerous. From what I've been reading, alfalfa is not a trouble free plant to grow so I am getting prepared. First the soil will probably need liming as alfalfa prefers a pH of between 6.5 and seven. I plan on crowding the crop a bit as I have limited space so I'll plant seeds every 4" and thin as seems necessary. I've read that a planting depth of between 1/4 and 1/2" is ideal, but I'll aim for the 1/4" and see what happens. Phosphorus and potassium will be essential to strong growth so I'll make sure the seeds get these along with organic compost. I just made a space in the garden in full sun so I'm crossing my fingers. I'll let you know how it goes. I wrote that about 3 months ago and our alfalfa is now about 8" tall and doing well. We'll be soaping it over the next week or so to rid it of the aphids who think they've found a good home. Alfalfa is still doing well after a year or so and blossoms are appearing. I'm not sure how to fertilize them so early in the morning I routinely knock them about as I do with tomato blossoms. It has worked for the latter so I am ever hopeful. GMO ALERT: The companies doing genetic modifications got a hold of alfalfa early on in their work and were not cautious about the effect of the changes they were making. As a consequence, in the United States there is no longer any alfalfa that can be considered organically grown. Probably all of it is contaminated with the modified genes of industry's new creation. Because of this, Japan ceased importing alfalfa from the United States. If you don't mind eating GMO food, look for a better source of seeds than those sold at Whole Foods. Their seeds do not sprout properly which means they rot in the sprouting jars and ruin those seeds that were viable. If you care about eating GMO free foods, try to find a shop importing seeds from Europe or better yet from Japan. 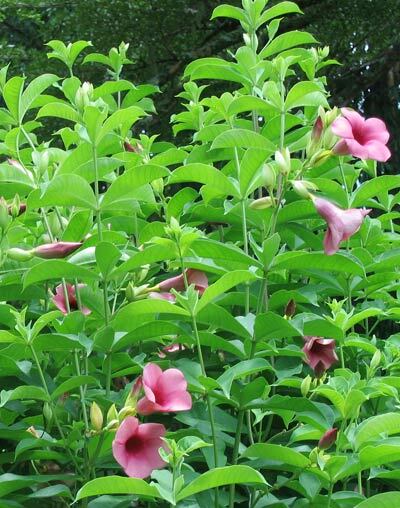 Benefits: As a group Allamandas have some remarkable medicinal applications in treating relatively serious diseases, including cancer. 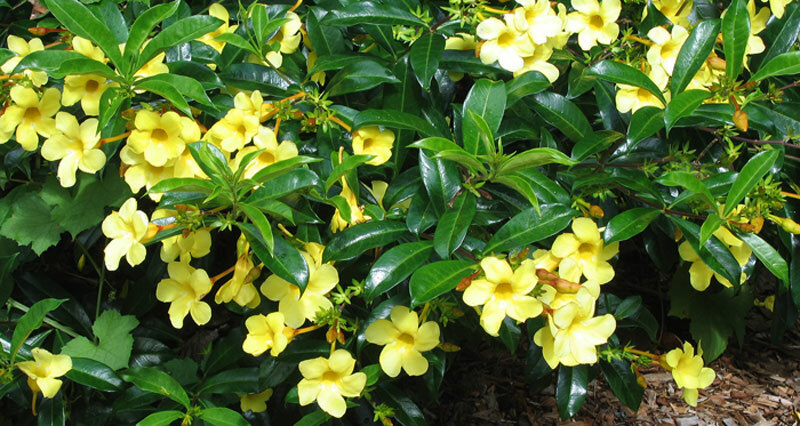 Planting and Care: Plant this allamanda in full sun and don't worry to much about moisture unless you are in a very dry environment. Give the plants fertilizer now and then. This is another of my favorite plants in the garden, not only for its lush flowers, but for its easy going nature. 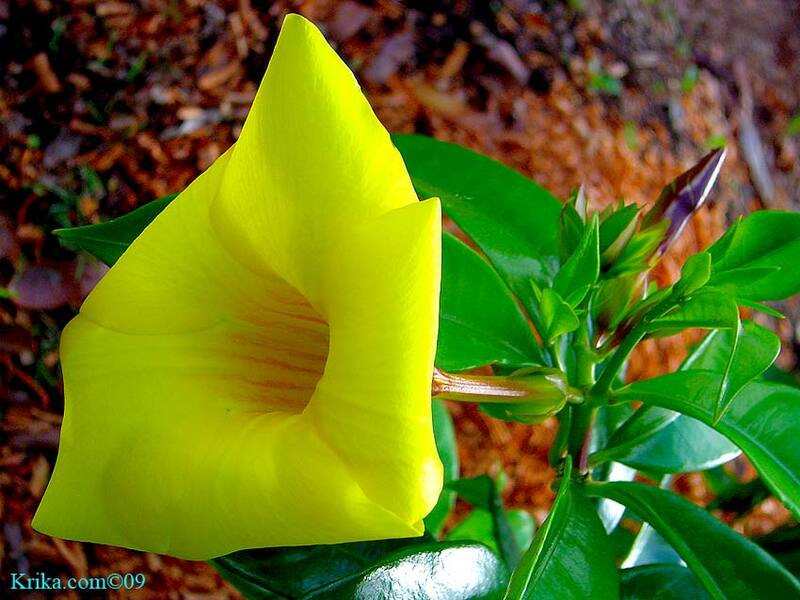 This seems to be a second generation of the yellow allamanda below. 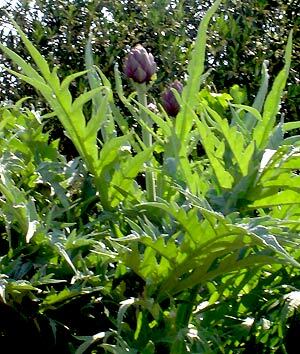 Its leaves are larger as are its flowers which have a velvety soft almost drooping quality and it is less of a trailing plant. Side by side though I could not decide which one I prefer so we have both. Photographed: In the mahogany garden at our former home in Montserrat. 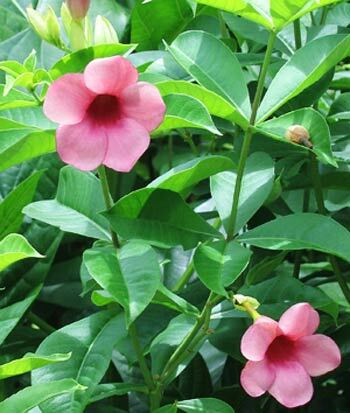 Planting and Care: Plant this second cousin to the allamanda below in full sun and don't worry to much about moisture unless you are in a very dry environment. Give the plants fertilizer now and then. This is another of my favorite plants in the garden, not only for its lush yellow flowers, but for its easy going nature. A vine like bush and more lavender than purple, the flowers are plentiful on this plant that differs also in its leaves from other members of the family. 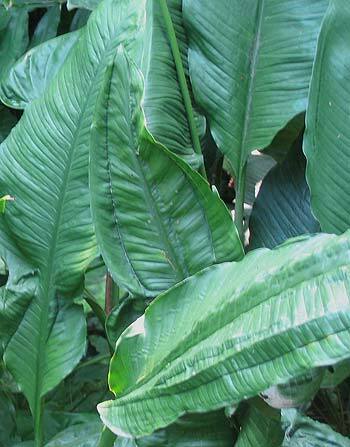 Its leaves have a whitish stripe down the main leaf vein that the yellow variety does not have. 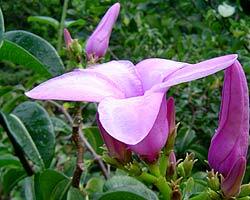 The purple allamanda is poisonous. 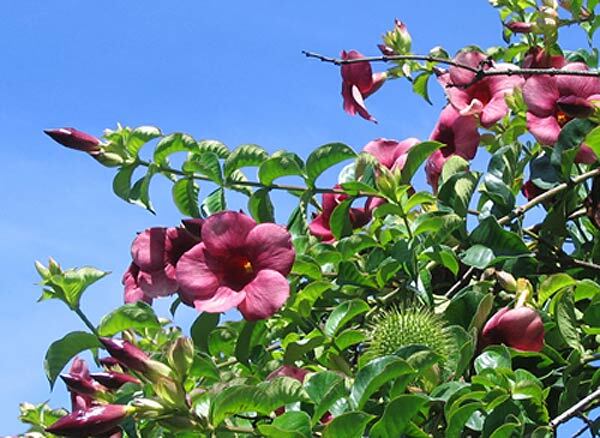 Pruning: Unlike the yellow allamanda, the purple variety seems well adapted to pruning in a draping bush shape or even as a small tree; simply prune all of the downward growing branches. **Yellow Allamanda Allamanda cathartica L.
We knew this plant as a sprawling vine with fleshy brilliant yellow trumpet-shaped flowers the year round, though sometimes more than at others. We saw a spectacular border of a yellow allamanda in Coroico, Bolivia. The gardener must have loved the plant to do such a great job of caring for it. Then on a visit to Australia we came across the same plant, but in a much more shrub way of growth. Maybe things do evolve in Australia because it was the same plant, but very different. 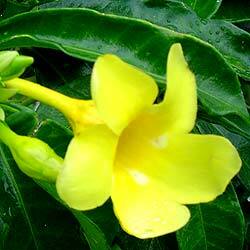 We found the allamanda in Tahiti to be the same, bushy rather than vine like. Photographed: Below on the left and right along the stone stairway by the banana garden at our former home in Montserrat and in the middle in the Jardin Botanique in Tahiti in 2013. Below those is a photograph taken at the Royal Botanical Gardens in Sydney Australia also in 2013. 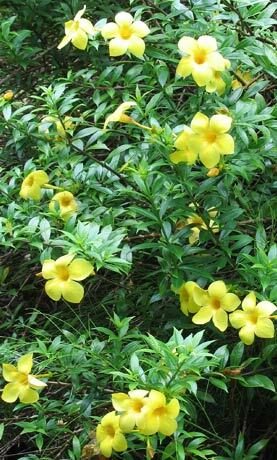 Planting and Care: Allamanda likes to be in the sun though it will well tolerate some shade. It seems immune to bugs and diseases (I'm knocking wood as I write this) and it is tolerant of dry periods. It will look a little worse for the wear, but will come right back with the first rain. It takes well to hard pruning which keeps its branches from growing all over the garden. 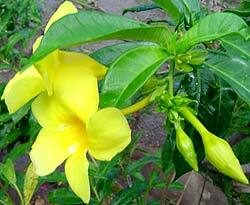 Like so many tropical plants, the allamanda is toxic. 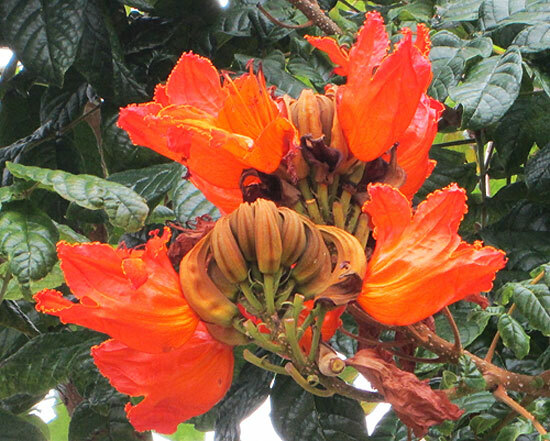 This is another of the Pacific allamandas that grows as a bush, not as a vine as I've always seen them in the Atlantic hemisphere. Either way, they are very appealing and easy to grow. Photographed: In the Jardin Botanique in Tahiti in 2013. I would dearly have loved to have this plant in my shady terrace garden when we had a residence on the Caribbean island of Montserrat. 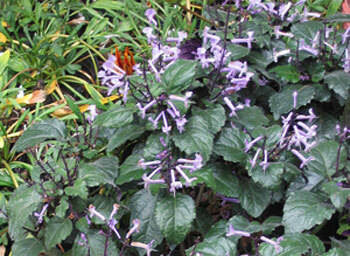 Photographed: In the Winter Garden in Auckland, New Zealand in 2013. 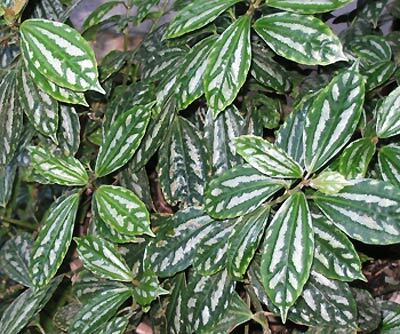 Planting and Care: This is another tropical climate shade plant growing maybe to about three feet tall. 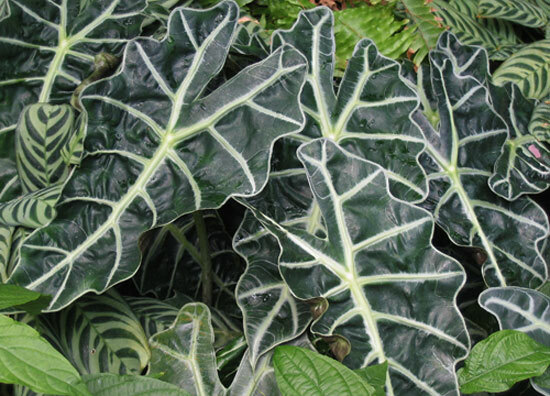 Unlike many plants with these requirements, Alocasia amazonica is a stunner. It likes warmth, water and freedom from the sun. It sounds almost like me! My #31 Plant Mystery was solved by Glenn a visitor to my website who lives in Brisbane, Australia. Many thanks for your help. This is a large and impressive green and white shade loving perennial plant. It could well serve as a centerpiece in many garden places or even as an indoor stunner. Benefits: Apparently it is edible, but it can be toxic if not carefully prepared. 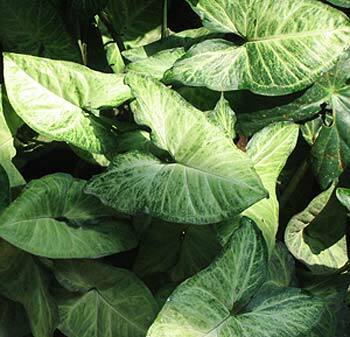 Planting and Care: Aside from loving moisture, humidity and shade, this alocasia is tolerant. Give it a range of pH soil, warmth, soil type and it will probably do just fine. It is not winter hardy. If you know what this plant is, please contact me and let me know too. 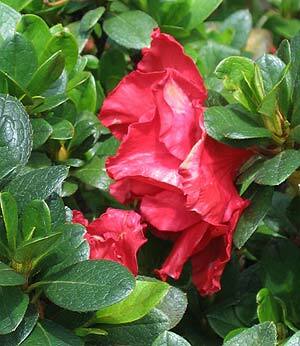 Photographed: In the Botanic Garden in Wellington, New Zealand. 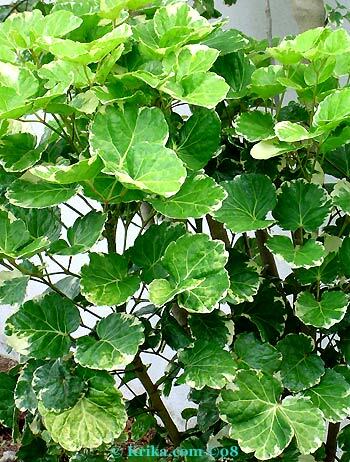 This is an attractive low growing foliage plant that does well in warm climate gardens year round. I've also seen it as a potted plant in places where there is a freezing winter. 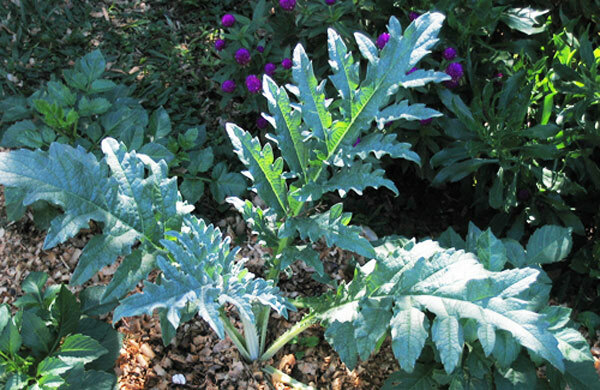 Planting and Care: Bright light with no direct sun will keep this plant happy along with adequate moisture. 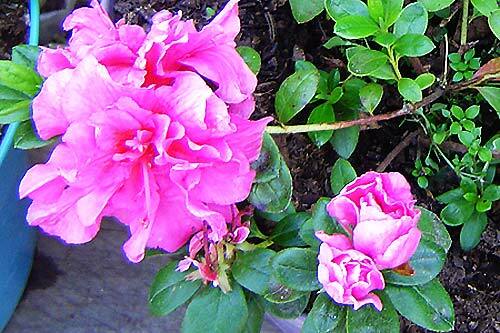 It will do best in a consistently moist, but not wet soil. Warning: The aluminum plant is toxic to both cats and dogs. Organic apple cider vinegar is a source of potassium, magnesium and calcium. It is also believed to have a cleansing effect on the body, relieving us of accumulated toxins and excess water. Non-organically grown apples should be avoided considering they have made the top ten most contaminated produce products for the last few years. From all I've read, I don't even like touching them, let alone eating one of them. Of course this means avoiding apple juice, cider, cider vinegar, apple sauce and any other form of apple not noted to be organically produced. Apricots live very closely to mangos in my beloved fruits hierarchy. As with most fruit, I prefer them dried or cooked. Benefits: Muscle relaxant and stress reducing apricots are rich in magnesium. From: This is disputed, but apricots were known in ancient Armenia which is the reason for its scientific name. Planting and Care: When last we were in Naples, we encountered the sweetest and most beautiful apricots we've ever seen. Ever on the look out, I saved all of the pits which I took to be seeds. I got them home here to Guatemala and then got on the web to find out how to plant them. Here is what I found. First the pits aren't the seeds. The seeds are protected inside the pits. Right now the pitless seeds are living in my fridge until we get back from our next jaunt toward the end of November. Then I'll soak the seeds in warm water for a night and put them in a jar of dampened humusy soil, cover it and return them to the fridge. I read that after a month or so I might find sprouted seeds. I'll let you know. This was one of my seed saving ventures that just did not pan out for folks like me who are so frequently traveling. 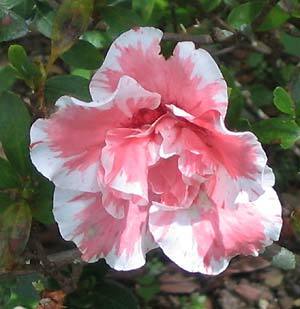 This is a peculiar upright plant with with rounded bicolor frilly leaves. At first I thought it unattractive, but as it came as a gift I had little choice but to plant it. A few years later it has won me over. 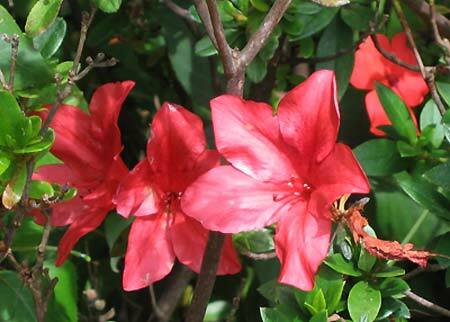 Photographed: In our driveway garden at our former home in Montserrat. Planting and Care: Ours is doing well in semi shade with very bright light. With an occasional dose of fertilizer it seems to do well with little other care. This is a very tenacious vine with about six inch arrow shaped leaves as its name implies. 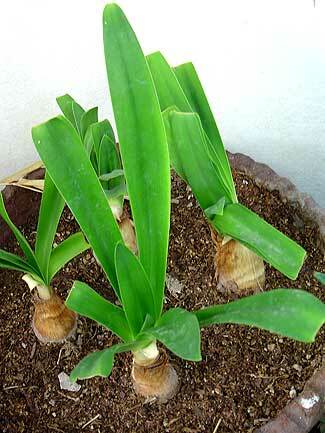 It is often used as an easy to care for house plant in northern climates. 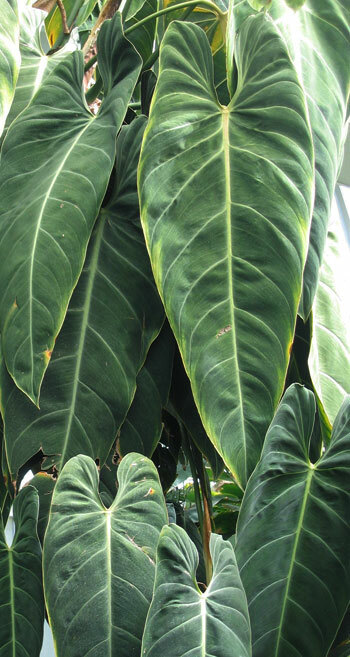 In a tropical environment it can be extremely invasive so be sure to plant it where you will forever want it to be growing. 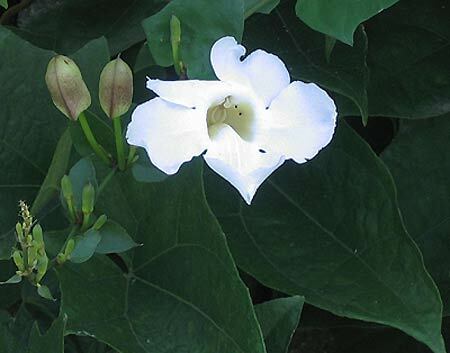 Benefits: The arrowhead vine does have some health benefits, but they are not standouts. Some of the members of this family have edible roots. Photographed: At the Hotel San Buenaventura at Lake Atitlan in Guatemala. Planting and Care: This vine requires very little, but is probably happiest in a semi-shady area of the garden. Photographed: In our garden at Lake Atitlan in Guatemala, 2012. 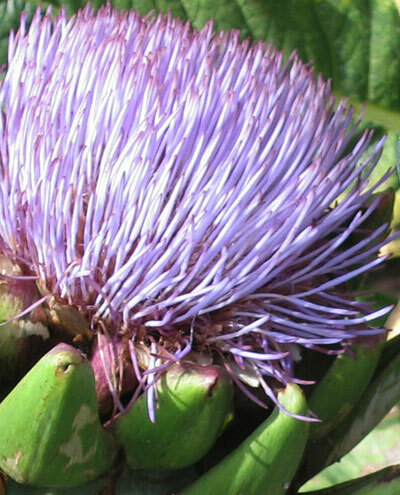 We think artichokes, along with asparagus, are the beluga caviar of the plant world. 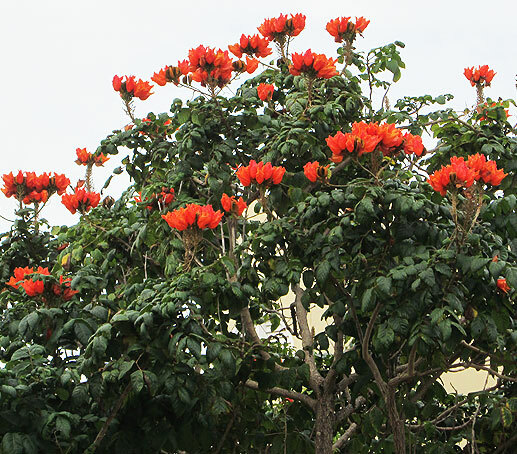 For years I tried to get them growing in Montserrat, but I was always stymied. Either seeds didn't germinate or if they did we got an acid rain from the volcano or they succumbed to damping off disease. We did finally get one little plant off to a good start, but we left on holiday and returned to find it too had gone the way of the others. Undaunted, I tried again at our new home in the Guatemalan highlands where we have a warm spring like environment year round. Success at last. 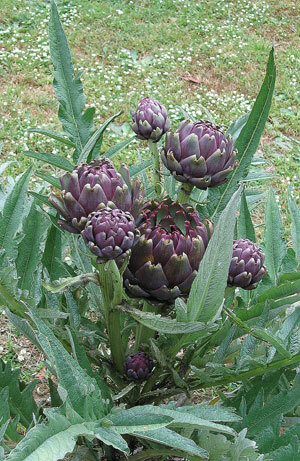 We now have a whole row of artichokes lining our driveway, inter planted with dahlias and marigolds. It's very pretty. 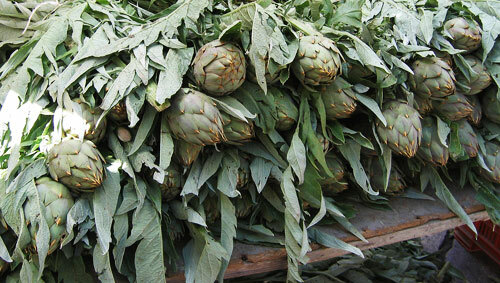 Benefits: Aside from being a glorious food, artichokes are good for you too. Among other things they are rich in antioxidants. And, for fiber, they have oatmeal and beans beaten hands down. From: The Mediterranean area, possibly Sicily. Planting and care: It seems to me that your source of seeds may be critical to your success. We have ordered seeds packaged in Italy and Greece and have had very poor results with all of them. I found a little shop in the Guatemalan highlands that sold leftover seed packets from Canada for 1 Quetzal (about 12 cents US) and I had great success with all of them. Artichokes it turns out aren't any more difficult to grow than anything else. Follow directions on the package and you'll do just fine. 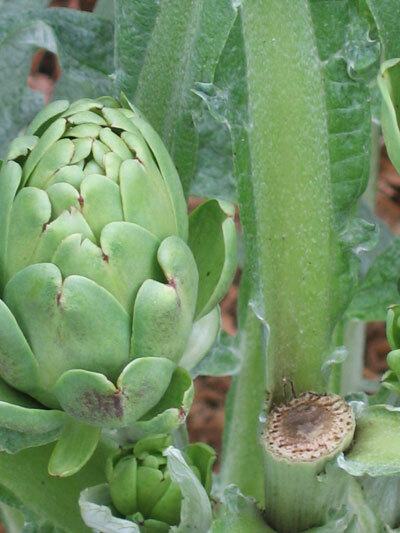 Once planted, artichokes like to be cared for with regular watering and generous additions of compost and manure each growing season. They like a slightly acid soil around 6.0. Once you have them growing well, each year replace a few of your plants with side roots from one of the healthiest plants you have. 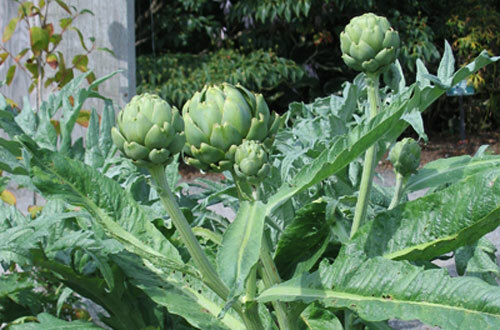 This way you will ensure production for your family, usually 4 plants for every two artichoke lovers. Photographed: In the Botanical Garden in Naples, Italy, 2012. Photographed: In a private garden on the Greek Island of Naxos in 2010. Photographed: In our garden at Lake Atitlan in Guatemala in 2012. 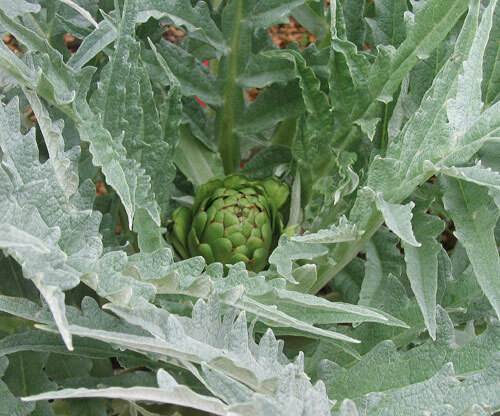 This little beauty was my very first artichoke photographed in our front yard at Lake Atitlan in Guatemala in 2012. I'm thrilled! Photographed: In the Coastal Maine Botanical Gardens in Boothbay, Maine in 2013. Photographed: In the Vucciria Market in Palermo in Sicily, Italy in 2012. Photographed: At Ericlea Minoa in Sicily, Italy, in 2012. 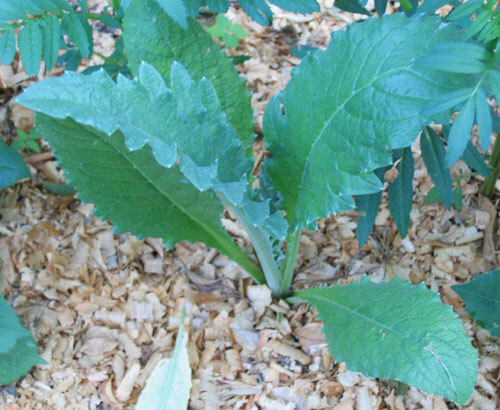 This is an unusual plant much resembling something in the fern family, but nothing is further from the truth. This is an appealing fleshy sort of annual plant. Benefits: It is said to have some health benefits, but I was unable to find any specifics. 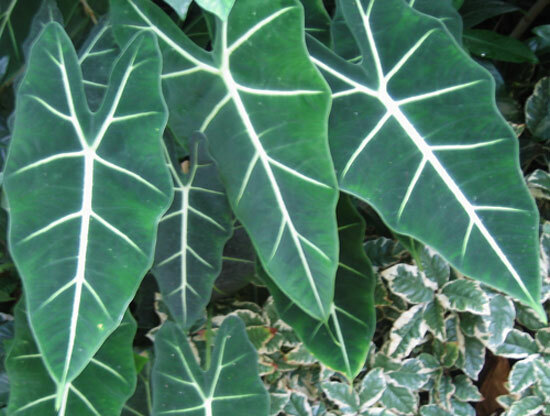 From: This plant is from Florida, Mexico, the West Indies, and tropical areas of Central and South America. Photographed: At the Hotel Atitlan Botanical Garden in Guatemala. 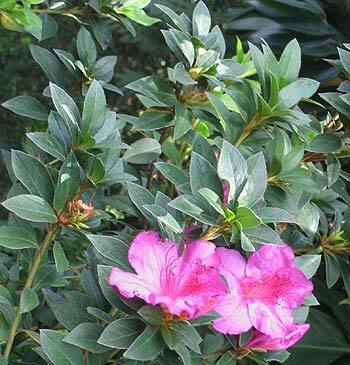 Planting and Care: This plant is best adapted to shady situations in warm places with a good amount of rain or watering. 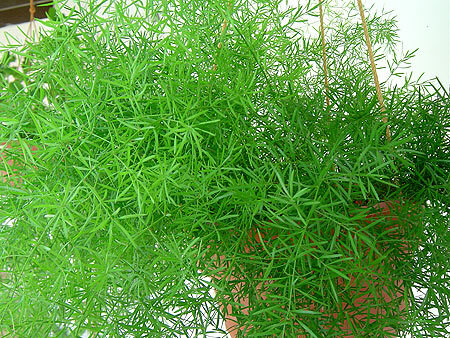 It is low growing and makes a great background plant. My #34A Plant Mystery was solved by Glenn a visitor to my website who lives in Brisbane, Australia. Many thanks for your help. Popular and healthful, though bitter in taste, over the last decade or so arugula has become a staple in upscale salads. Benefits: Low in calories like most salad vegetables, arugula has calcium and folate, vitamins A, C and K and potassium so do add it to your salads made at home if you don't mind the bitter taste. Planting and Care: Growing your own arugula is pretty easy as it is much like all the other greens you may have growing. Plant seeds early in springtime. 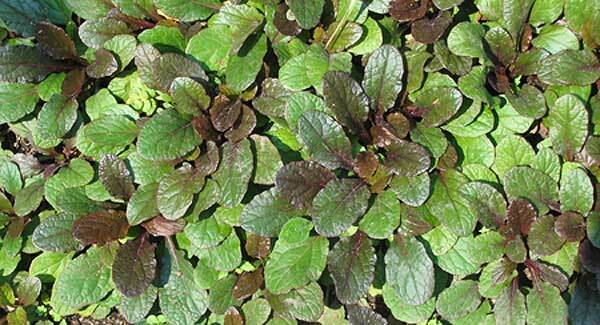 Once the little plants begin to grow, thin them as you would other greens. Grow them in a sunny location early in the summer season, moving them to a more shady location once the hot sun arrives. Arugula also loves being well watered in an area of the garden with good drainage. 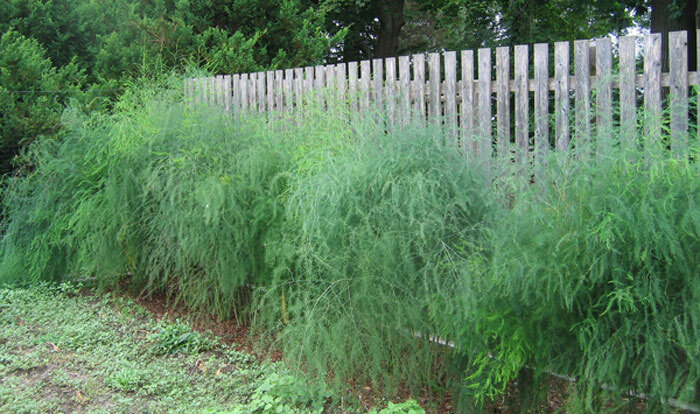 Back in 2003 or 2004 we planted the Martha Washington asparagus variety and had six inch plants set out when feral (wild) chickens arrived and dug them up as they looked for bugs to eat. I was in despair, but in truth the plants had not been all I had hoped for. While traveling in Europe we had picked up a French heirloom variety of seeds called Asparagus 'Argenteuil. They didn't prove at all difficult to get started and we soon set out eight and ten inch plants in the garden. We tried to replicate a non-growing season by not watering during the dry season in mid and late spring. We hoped this might fool the plants into thinking they have endured a winter once the rains begin again in June or July. Asparagus normally like full sun, but in Montserrat we planted them in a semi-shady area. Low in calories along with spinach and broccoli, asparagus is high in vitamin K which can neutralize anticoagulants. These vegetables promote blood clotting so if you are taking any kind of anticoagulant medications, they are probably best avoided in your diet. Aside from vitamin K, asparagus will also provide you with "vitamins A, C, E, and K, B6, and folate, iron, copper, potassium and even protein." One great benefit of asparagus is that it is said to be a great cure for the all American hangover and for other toxins in your body. Munch on some chilled cooked stalks during an evening that is likely to bring on a headache and you may feel much better in the morning. For those folks with a tendency to form cataracts, a diet rich in asparagus may reduce the problem. Check with your doctor or better yet check this out further on the web. Eating a serving or two of asparagus daily may also be a natural and delicious way to sooth they symptoms of irritable bowel syndrome. Photographed: In our garden at our former home in Montserrat unless otherwise noted. Seeds should be soaked overnight to enhance their chances of sprouting, but if you can buy asparagus roots, all the better. The roots are easily handled and sprout readily not too long after being set out in the garden. 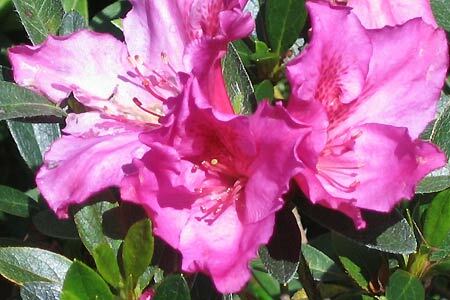 Plant them where they will have a long and productive life, fertilize them frequently or use a good amount of well rotted manure. I think asparagus are in the grass family so they are heavy feeders, but they do give us one of the world's most delightful vegetables. 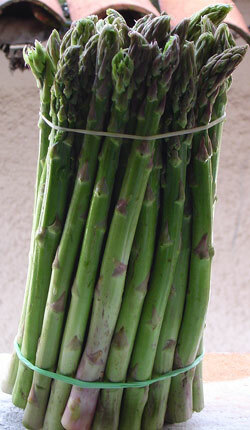 As mentioned above, asparagus normally have a dormant period during winters in temperate climates. In the tropics it is a little tricky to keep them happy, but our dry season worked. We were away from Montserrat and our gardens for over a year and when we returned there were the asparagus, now pencil thick! So, the dry season trick appears to work. If you have similar luck, please do write and tell me your asparagus tricks. Photographed: In the Blithewold Garden in Bristol, Rhode Island 2013. In Montserrat, we had one of these plants thriving in our shady sloped garden by the pool, but it did not survive the ashy volcanic mud fall of July 2003. I had hoped that Mrs. Greer, who sold eggs in the nearby village of Salem, would give me a piece of her very large pot bound plant as we had put a free advertisement for her eggs and chickens on our htpps:www.Montserrat-Today.com website. After waiting months for that to happen, I found some small plants growing wild in one of the damper mountainous areas of the island and brought a few tiny pieces home. We moved them to our terraced shade garden before selling our home in 2011. I now have new plants living happily at our home at Lake Atitlan in Guatemala. Benefits: There have been traditional medicinal uses for the leaves and more recently studies have been done to investigate other possible curative values. Photographed: In a hanging pot on the front of our former home in Montserrat. 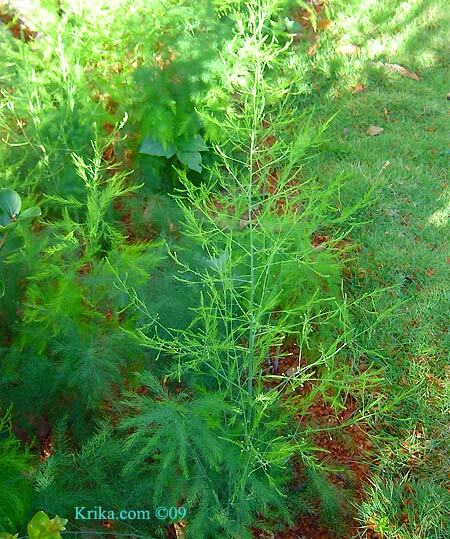 Planting and Growth: This fern-like plant is fast growing and ultimately large, growing to be about two feet wide with fronds about thirty inches long. Though it is said to grow best in either full sun or semi shade that has not been our experience. In semi-tropical full sun ours was burned and bedraggled. Replanted in bright shade it came into its own and was beautiful before being buried in volcanic ashy mud. 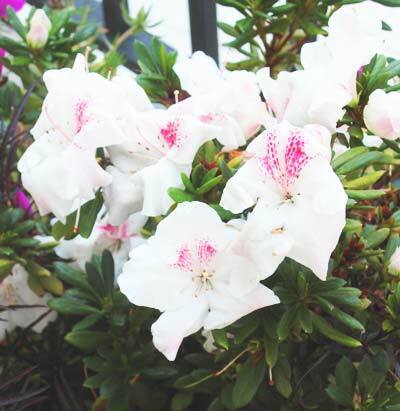 As delicate plants go, this one is not particularly fussy; a reasonable amount of water and fertilizer and it will dazzle you with its beauty. It also makes an excellent house plant growing in a hanging pot in a bright window. I had one in my New England apartment for years. 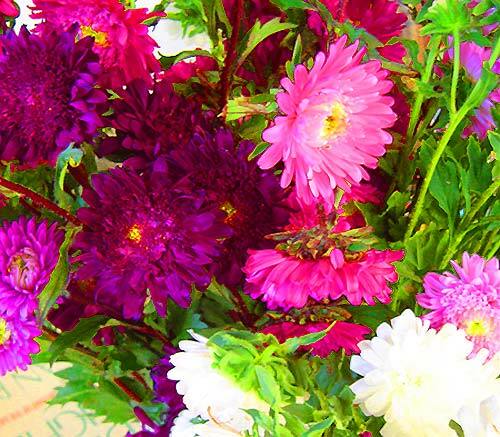 If you love color and have a bit of space with good sun, I can't think of a better flower than asters. As you can see on the left and below, just looking at the photographs makes you think of Mexico! 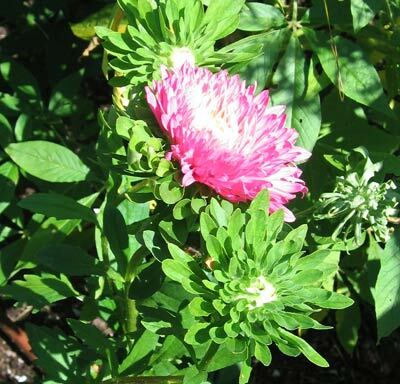 Asters would also be an especially good choice for a child's first garden. Benefits: I'm not sure yet if asters are medicinally beneficial, but psychologically they'll give even the saddest folks a lift. Photographed: Below on the left in Thuya Garden on Mt. Desert Island in Maine and on the right in in Oaxaca, Mexico. Planting and Care: If you are short of time, simply pick up a flat of young plants at your local nursery. If you have a little more luxury of time, plant the seeds following directions on the package. When they are about 3" tall, move them out into the garden and keep them moist until they "take." Give them your own good composted soil or resort to a commercial liquid fertilizer to get them off to a good start. Sit back and enjoy the show! I'm not sure I can think of anything better in the fall garden than autumn crocus. Unlike most fall blooms they have the colors of spring reminding me that though winter is coming, spring will shortly follow. In springtime the autumn crocus sends up only foliage which reminded me of lily of the valley leaves. When I first saw them I had no idea what would appear in the fall when only flowers emerge. 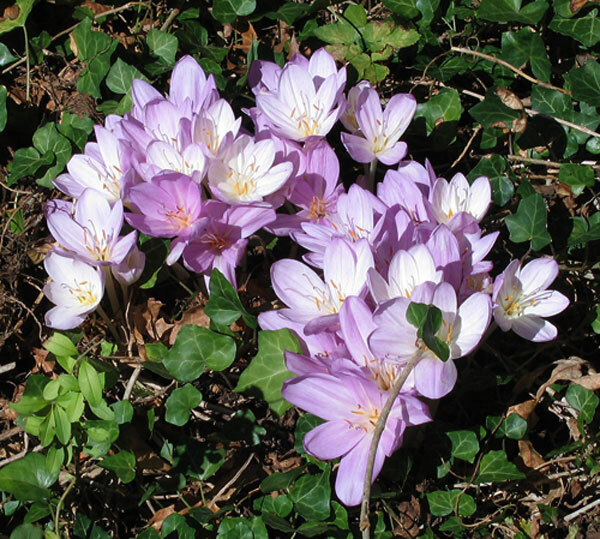 Benefits: Long known to be poisonous, the autumn crocus was also known to have beneficial medicinal characteristics. Photographed: At the Blithewold Mansion, Gardens and Arboretum in Bristol, RI, in the USA in 2014. 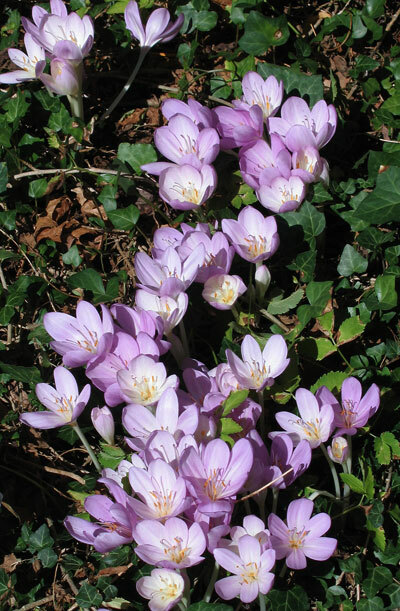 Planting and Care: Purchase and plant autumn crocus corms in early fall at a depth of 4" in good soil. 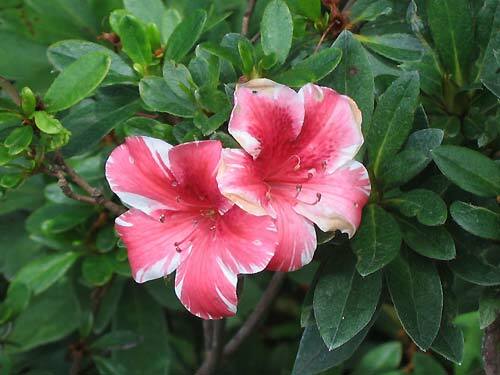 Plant them in a protected area as strong winds and such will tear up the blossoms very easily. The funny thing about this plant is that in spring it sends up a few 12 leaves which die back for the summer. In the fall its flowers will appear with no foliage at all. Photographed: On our terrace at our former home in Taxco, Mexico, in 2005. Depending on the variety, it can be a relatively small tree growing only to about thirty feet or a large tree at sixty feet with a breadth about half as wide and growing one from a seed in my Boston based Beacon Hill apartment was not difficult. Once the seed had a root and a few leaves, I transferred it to a large pot with good soil and stuck it in a sunny window. It was thriving when I finished college and passed it along to a younger student. 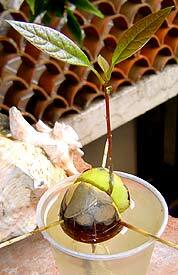 In Montserrat we bought and planted four avocado trees, all of which died soon after. We then took a seed as in the picture to the right and when it had a few more leaves we planted that. A few days later the two foot stem was lying on the ground and there was a hole where the large seed had been planted. An agouti, a Caribbean vegetarian rodent, had eaten his fill and gone on his way. Not long afterwards, we rescued a three foot avocado tree growing in a six inch black plastic bag in full sun at the Montserrat Department of Agriculture -- very sad. It was planted in a semi shady area and given a dose of urea. Its leaves have turned a wonderful green and the little tree seemed to be well on its way when we sold our home there and left the island. Benefits: The avocado has long been touted for its medicinal and appearance enhancing qualities. Here are some of the reasons. 1. Ounce for ounce, avocados contain 60% more potassium than bananas. 2. Its mono-saturated fat has been shown to lower blood cholesterol. 3. Apart from giving us its delicious fruit, its leaves steeped as a tea may help to help reduce high blood pressure. 4. As a skin moisturizer a ripe avocado is hard to beat. Mash the fruit of a peeled ripe avocado and spread it generously all over yourself. Wait about fifteen or twenty minutes and rinse off in the shower. 5. Avocados may also be a good source of vitamin E and we all know that is good for our health. 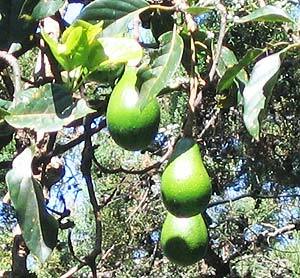 From: The avocado is native to the jungle forests of Central America or Mexico. 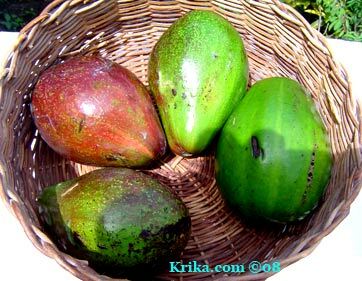 Fruit: In the northern Caribbean, avocado trees normally flower sometime between January and March with its fruit maturing from August to September. Oddly enough it usually bears heavily one year and lightly the next. Planting and Care: Plant your avocado in the garden in a hole about 18" deep and wide using good non-acidic soil in an area that also has good drainage. Then stake it, give it some shade and protect it from strong winds. Be careful not to over water as that seems to be the worst thing you can do with an avocado. It should begin bearing in three to four years if it is a grafted tree. If not you will have to wait up to twenty years for the first fruit. 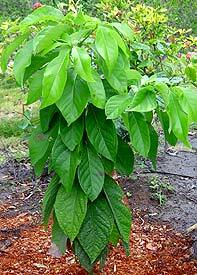 When fertilizing remember that avocados favor the use of potassium and phosphorous, but use everything with a very light touch as this is a jungle tree. Photographed: In our garden at our former home in Montserrat in 2008. Photographed: At Lake Atitlan in Guatemala in 2010. Photographed: On our deck at our former home in Montserrat in 2008. 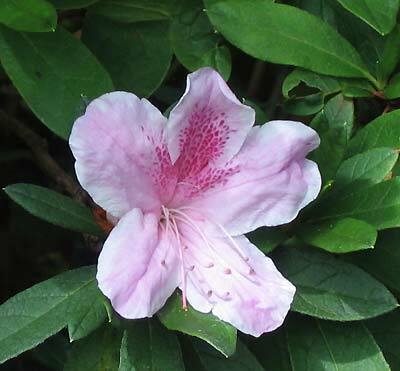 Their great beauty belies a very confusing connection with Rhododendrons. 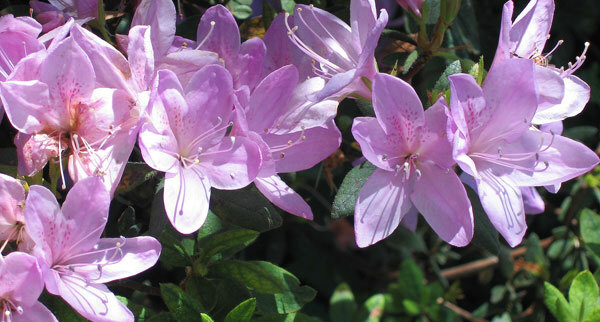 Azaleas in New England are too often grown as part of the traditional plants used to hide home foundations so they are almost always trimmed to some sort of shape appealing to the homeowner losing much of their appeal. Photographed: In the garden of our apartment in Oaxaca, Mexico (below left), at the Hotel Riviera on Lake Atitlan in Guatemala (below right) and in the Botanical Garden at the Hotel Atitlan on Lake Atitlan in Guatemala all others except as noted. Planting and Care: Plant in slightly acidic soil rich in humus. 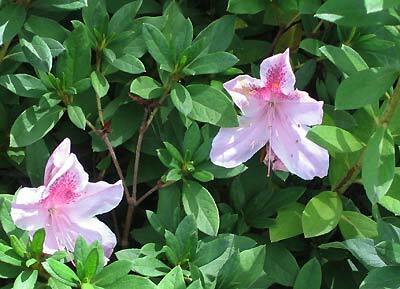 Azaleas like to be well mulched to even out moisture content in the soil. Do not let these plants suffer from drought.